darkSpyro - Spyro and Skylanders Forum - Spyro: Enter the Dragonfly - Who's Beaten This Game? 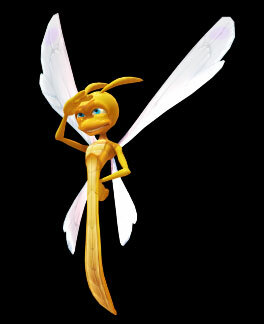 darkSpyro - Spyro and Skylanders Forum > Spyro: Enter the Dragonfly > Who's Beaten This Game? Because I said "NOPE" because of the glitches. I managed to beat it 100% thanks to someone reading funny reviews and critiques of the Twilight movies while I played. So the reviews motivated you? A few years ago I went through my entire collection of Spyro games and 100%'d them. Then I beat it again right before Skylanders came out when I tried to go through my Spyro games in order and 100% them (got to around A Hero's Tail before the game came out). The glitches are sometimes annoying, Crop Circle Country is stressful, and some of the minigames are way too hard (looking at you, Honey Marsh Tank challenge) but to me it was an enjoyable game, if not as enjoyable as other console Spyro games. I remember just being bored for most of the game, confused about the thieves suddenly being good (but kind of in awe of their sparkly lair), and having actually fun only once (and the glitches were so bad on that minigame that the fun was completely gone long before I beat it). I don't hate the game, but I certainly would never recommend it to anyone save a completionist Spyro fan. I beat the game so many times. Probably 7 or 8 times. It's my 2nd favorite game of all time. Most people may think that's absurd, but it's my opinion and everyone's opinion is different! I think the game looks great for a PS2 title and Stewart Copeland made some track that were outstanding. I manage to look past the low framerate and play the game fine. Some of the glitches that happen to me(Frozen animations, Fall through ground, other crazy glitches) add to the experience by adding humor to the game. I think it's hilarious for glitches like that to happen.